Vincent Breet once again suits up for the Crimson heavyweights. Growing up, every sports fanatic has undoubtedly fantasized about his fair share of glorious moments: hitting a walk-off home run in the World Series, running through the finish tape at a marathon, or netting the game-winning shot at the buzzer. Among those victorious images, competing in the Olympic Games almost always stands out as the pinnacle of international athletics. Flash forward to Rio de Janeiro, summer 2016. 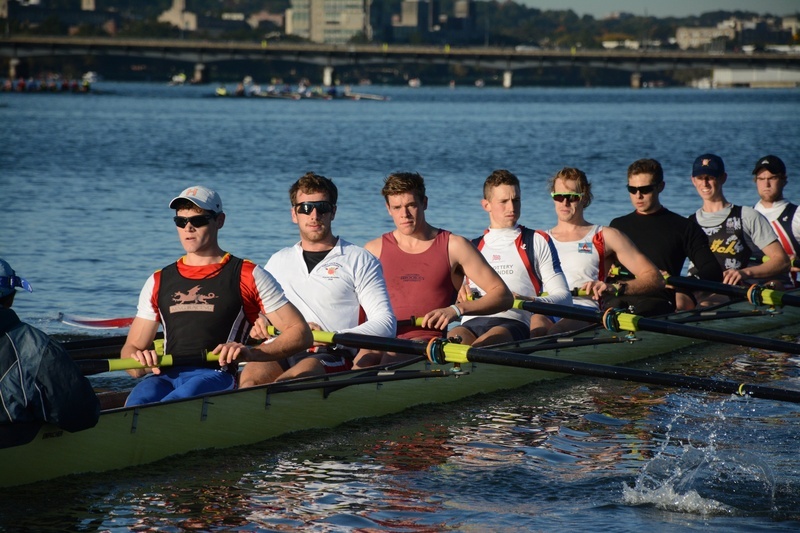 Harvard junior Vincent Breet found himself living that dream, powering through the Lagoa Rodrigo de Freitas alongside three fellow South Africans and vying for a medal in the most prestigious competition in all of sports. The opportunity to live out his dream—representing his country doing something he loves—did not come easy. Vince’s path to the Olympics began in 8th grade, when he picked up the sport of rowing to satisfy his school’s athletic requirement. Despite his family history in water sports, in particular swimming and water polo, Breet decided his abilities were best suited for an on-the-surface activity. As Breet’s crew career took off, he began rowing for his high school, St. Benedict’s College, and found great success there. In 2010, he wet his feet in international racing, representing his homeland at the World Junior Championships in the Czech Republic. After falling victim to some startling competition and placing 10th, Vince transitioned to a smaller boat class by 2011 and subsequently and was accepted into Harvard later that year. “I had eight months to kill before my freshman year started, so I decided to try out for the under-23 team… as an 18-year old,” Breet remembered fondly. Rowing for the U23 team in 2012, the summer before his freshman year, Breet established a familiar pattern: wherever he rowed, he always seemed to precociously over-perform for his age. Breet grew accustomed to overcoming adversity, whether rooted in age or lack of experience in the limelight, and this underdog mentality has seemingly followed him everywhere in the sport of rowing. By the end of 2014, qualifying for Rio became a serious possibility for Breet, and in order to focus purely on rowing, he decided to temporarily pause his Harvard life for three semesters while he pursued his dream of representing his country in the Olympic Games. Breet’s Harvard teammates were not particularly shocked at his decision to step away from school and focus on rowing. “For [Breet, training] definitely was not an easy process, and he worked through a lot,” Buchholz recognized. Breet’s boat actually missed qualifications in the traditional Olympic sense, whereby the top 12 finishers in the previous year’s World Championship race gain automatic bids to the Games. With its Olympic future in the balance, the South African rowing team made some modifications to the boat: two rowers from the previous year were replaced by fresh faces, and Breet’s team luckily managed to late-qualify in the spring of 2016—just mere weeks before the athletic festivities were set to begin in Brazil.